Named after John Findlay, a partner in the North West Company; see page 103 Place Names of the Canadian Alps for details. A remote glaciated peak in the southern Purcells. 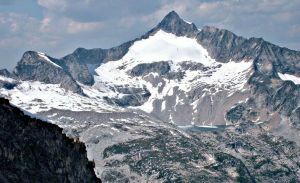 It is a two-day approach up Findlay and Granite Creeks through the Purcell Wilderness Conservancy. Name Notes: Adopted in 1954.